I Will Provide High-Quality 1 article of 2000 words On any topic! If You Have Any Doubts, Please Contact Me! 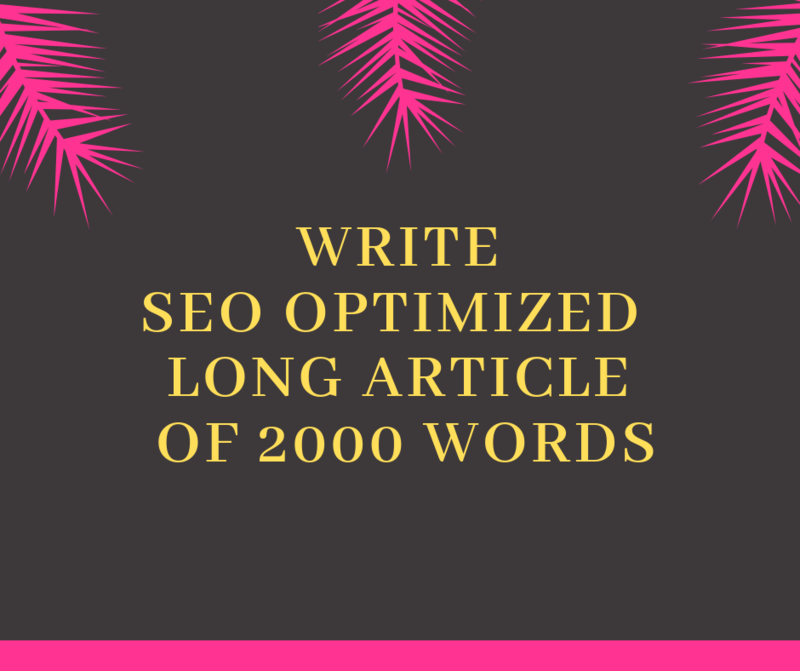 Write SEO Optimized High-Quality Long Article of 2000 Words is ranked 5 out of 5. Based on 33 user reviews.